He's cute most of the time, but when he's mad, his body cracks and his manly face pops out. Mochismo can give people super strength as he caused Nathan's mom to lift a couch without difficulty. 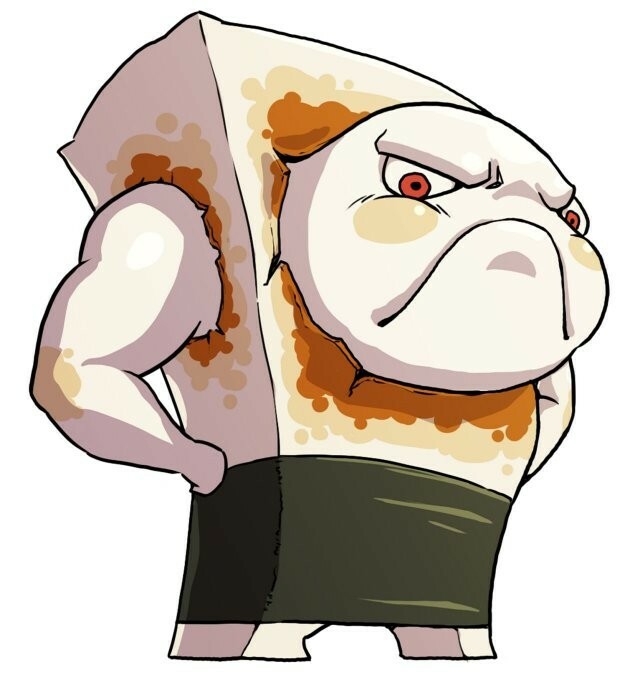 Yo-kai Medallium Bio: He's cute most of the time, but when he's mad, his body cracks and his manly face pops out. Mochismo appears as a kakumochi (square rice cake) with thin arms and stubby feet, a strip of nori resembling pants wrapped around his waist. 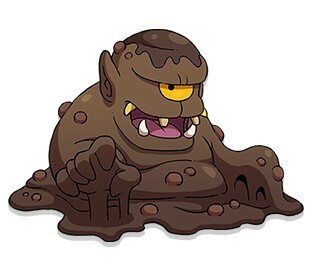 Normally he has a near featureless face with thin eyes and mouth and a burn mark that resembles a blush, but when angry a scowling face with flushed cheeks pops out and his arms get bulkier and stronger. Mochismo's design is based on an overcooked kakumochi, with the browned surface cracking and the rice paste bubbling through it. "Mochismo" is a portmanteau of the words mochi, a Japanese rice cake and machismo, a masculine form of toughness and virility. "Chikaramochi" is a pun on mochi and chikaramochi (Japanese: 力持ち, strongman or muscleman).